Been diving in Likuan I, II & III? Please Vote! One of the most amazing dive sites in Bunaken National Park, Likuan is made up of three separate dive sites. It starts on a sandy slope and then gradually the dive sites become a large wall dive. 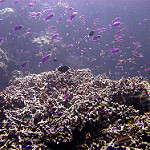 It is repeatedly chosen as one of the top sites for diving, in the world. The long wall often has strong currents that are mainly confined to Likuan I, but the dive is suitable for most levels and has excellent visibility with an abundance of marine life and fish. The wall is made up of a lot of crevices, ledges, and small caves. The three sites together have a lot of diversity with soft and hard corals, larger pelagic fish, sharks, turtles and reef fish. It is easy to spend more than a few days diving these three sites. 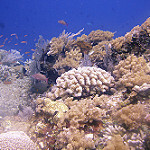 Likuan I receives the bulk of the current of the three Likuan sites and so needs to be dived by advanced divers. The current is mainly further down the dive so the top section is often sheltered with few waves or current and so you find many coral at the top of the dive. The dive itself is a descending wall with a lot of crevices, ledges and canyons. You can easily spot many pyramid butterflyfish, bannerfish, Napoleon wrasse, angelfish and even an occasional turtle. Right at the bottom at about 35 metres, large black tip reef sharks are common. It is also possible to see Turtles and Angelfish here. Right next to Likuan I, this site is a sheer vertical canyon that is a relatively calm drift dive. This is often said to be the jewel in the Bunaken National Park crown as the reef is teeming with so much marine life and there is a huge variety of hard and soft corals decorating the wall. These go down to around 20 meters and make for fantastic photography. There are also many crevices, small coves, and canyons waiting to be explored. When the current is strong, care needs to be taken as the current can turn downwards. Like Likuan I, the site has many different reef fish and it is likely that you will spot butterflyfish, bannerfish, Napoleon wrasse, sharks and turtles. Amongst the reef, macro divers will find their joy as it is easy to find many different nudibranchs, flatworms, lobsters, cleaner shrimps and small soft coral crabs. 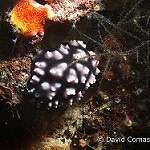 This site too is often said to be the best dive in Bunaken National Park. 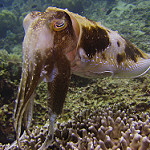 It is a really spectacular dive with immense variety in marine life. The top of this site is not as sheltered as the other two parts of Likuan, and so the top coral is not as vivid, but the vertical wall features amazing coral and marine life and also has many crevices, nooks and crannies that can be investigated. 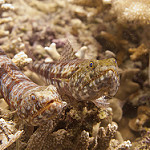 Like the other two Likuan sites, large fish are common but in particular, this site makes for a great night dive, as Spanish dancers are quite common. One of the most amazing dive sites in Bunaken National Park, Likuan is made up of three separate dive sites. Map of Bunaken, Likuan I, II & III dive site.